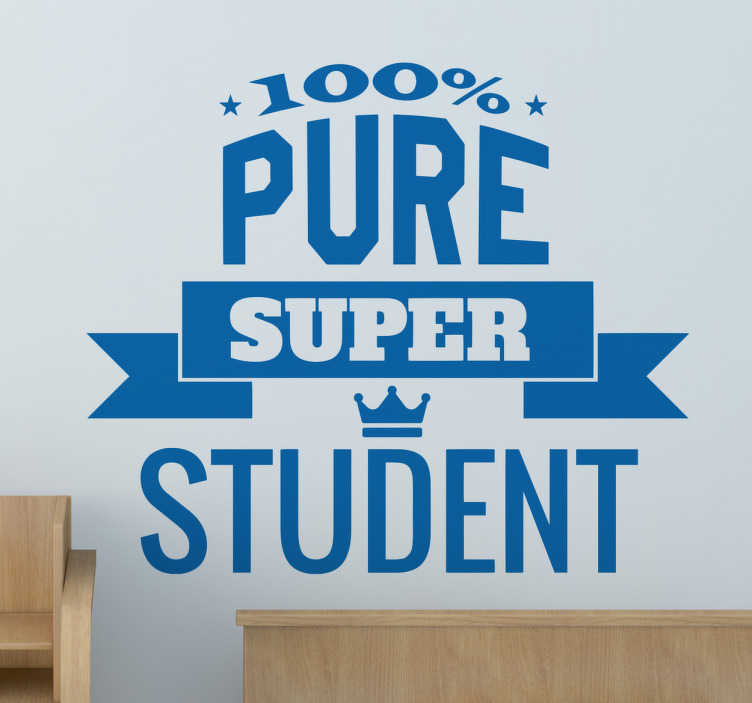 If you are or you know someone who is the perfect model student, then this is the perfect wall sticker! Featuring the text "100% Pure Super Student", this sticker is applicable to any smooth hard surface this vinyl is as easy to apply as it is to remove and leaves absolutely no residue upon removal! A high-quality anti-bubble sticker which is available in a wide variety of different sizes!